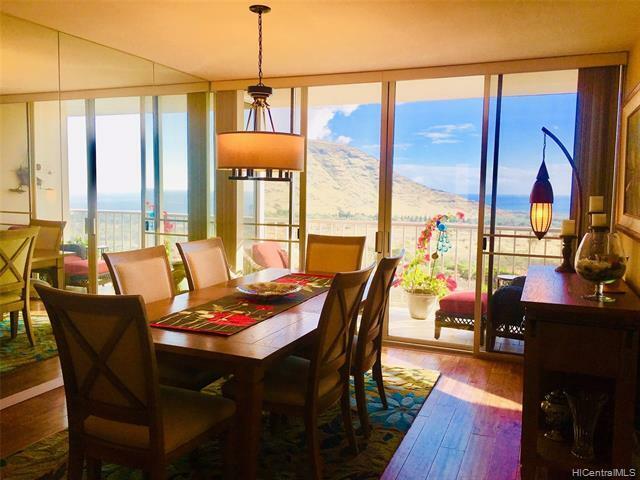 Extremely rare combined 2 bedroom/2 bathroom studio located on the desirable Mauka side of Makaha Valley Towers. There are only 11 units in the entire complex with connecting units, and this one is by far the best! 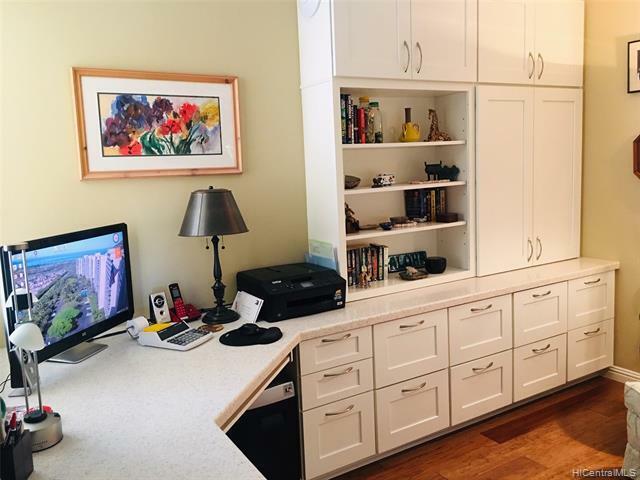 This unit has been completely reconfigured w/high-end features: Kitchen has been expanded with designer-lit bamboo-etched cabinetry that reaches ceiling, stainless steel appliances, & Reverse-Osmosis Water System. First bath reconfigured & enlarged w/shaker-style door w/fogged glass & cultured marble shower enclosure. The front bedroom has been converted to an office w/custom built-in wall unit, desk, & horizontal pull-down bed. The Studio portion has been converted into an open-living room w/2nd custom bath & hidden utility closet. 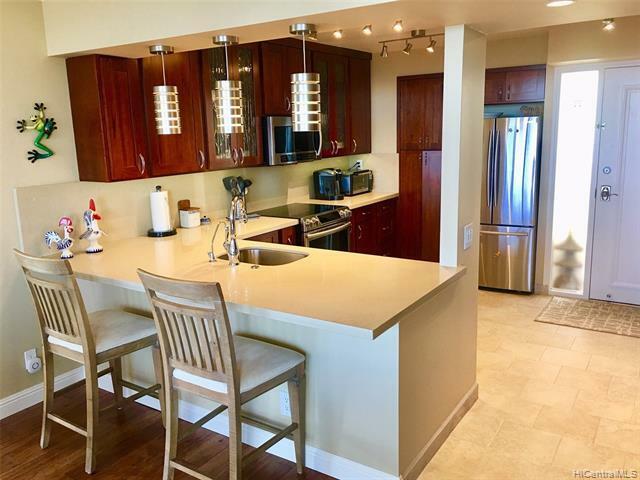 Unit boasts 2 lanais, custom tile, and warm hardwood flooring. 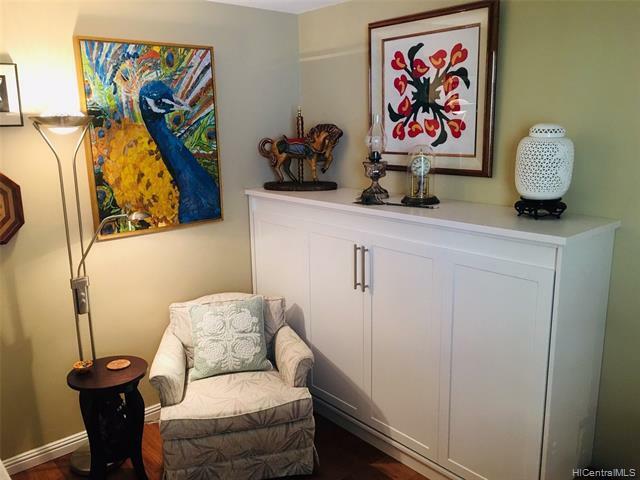 This is truly an exquisite Condo!